Hey there! Welcome back to the blog. I hope this fall season of busyness hasn’t caught up to you, but that you’re finding balance and rest. I’m learning that a lot right now, and it’s been cool to see how God is asking me to trust Him simply by saying “no” to things. For Thanksgiving weekend my family went back up to the lake that we always go to each year. If you remember my post from last summer HERE, this is what the lake looked like then. This year was different than any others though - we had originally planned to head to the cabin for the middle of July. 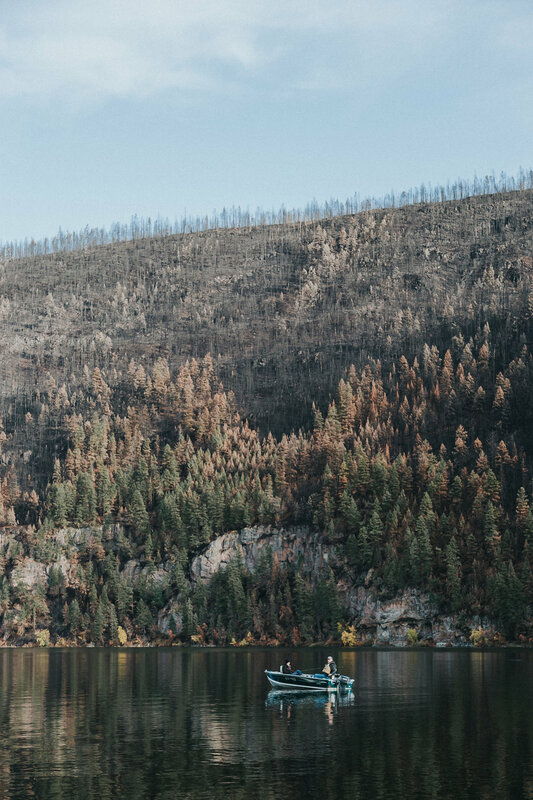 The week before we were supposed to leave, the area (Loon Lake, just north of Cache Creek) was evacuated and three short hours later, the Elephant Hill fire swept through the area. First of all, I can’t even imagine what our friends were thinking when they were ordered to get out. 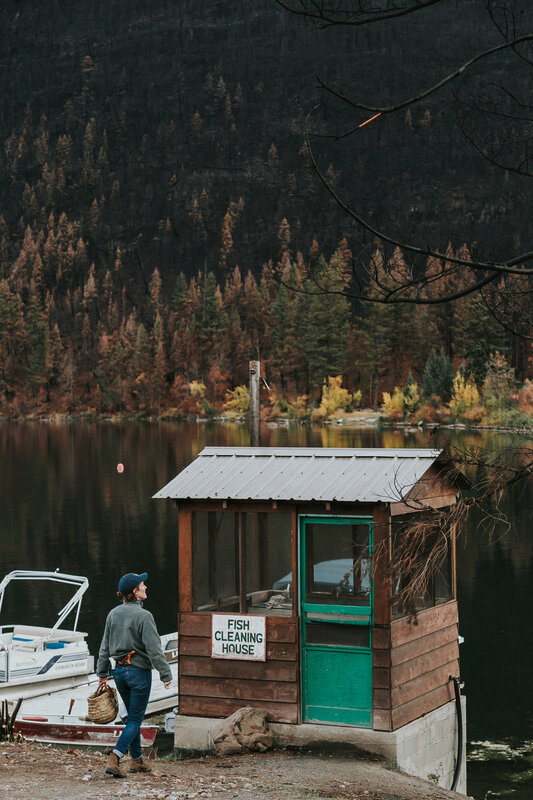 They run a business, and the thought of leaving behind cabins, boats, all of those things…it’s sad. Then, I think of how material those things are and thank God that everyone was evacuated safely. In His mind, our hearts and our souls are much more important than the things we own. I remember that week vividly from the summer. On Friday we learned that we wouldn’t be going up, and then a few weeks later people and special teams were allowed to go back in (not permanently, but to assess damage, etc.). Someone threw up a drone shot, but for some reason I didn’t end up watching it. Then, a few days later, someone did a drive by film. I had just come home from work, put my things down, checked Facebook and there the video was. I watched it and about 2 minutes in put my phone on the counter and fell to my knees. I’m serious, no exaggeration. I wept. The area was so bare, so destroyed and I felt so much sadness. I knelt on the carpet in my basement suite and tears fell for a place that held so much meaning, so much value and memory. This was where I first learned to fish and my time there growing up are some of the only memories I have of my grandpa. 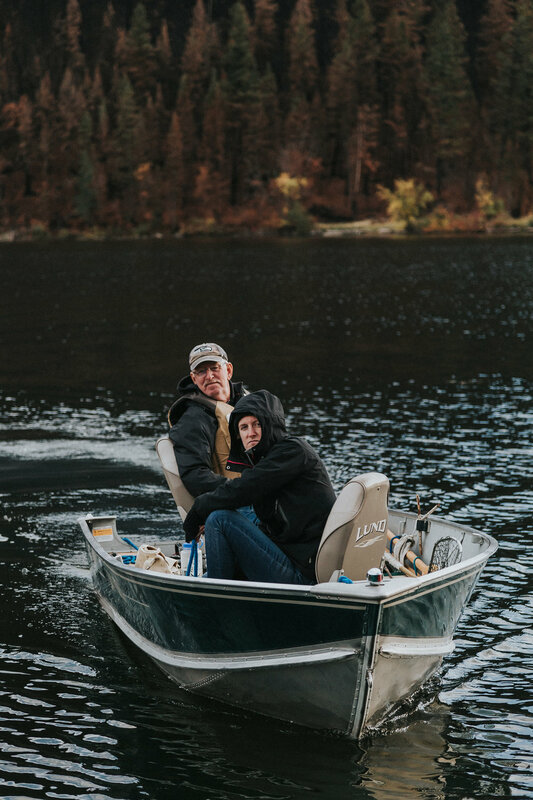 I love fishing SO much and not because I love to catch the actual thing, but because of everything it represents - rest, time with family, learning a new skill, tradition. I didn’t know what to feel - I felt like I had lost something so incredibly valuable. That was it. Katie, don’t you know that I am going to restore this place? Fast forward to Thanksgiving weekend, and while everything was so different in terms of the trees and colours, the fishing was the same (if not better ha), the family memories were still ever-present, the cabins were still there, and the family that runs the resort were over-the-moon optimistic. Sarah and I drove in, shocked at the devastation and charcoal ground everywhere and the large scar that was so obvious - the huge mountain side that was no longer lush and full of trees. Once beautiful, you could see all the way to the top of the mountain. As if you could see the bones of the mountain - its shape, its curves, gnarled and stark. There were tears, but then we heard about the plans the Eberts (the family that runs the place) have for the area, and the way the community is rallying together. It filled my heart with joy. We had so much fun as a family, I got a bit of schoolwork done, but mainly, I rested. I got to go for a run, caught 1 fish and picked enough weeds on my line to make some sushi. My mom made a fantastic turkey dinner, we ate wayyyyy too much pie, and as usual, my sister lost at our annual game of UNO. I can’t wait to bring my own family here one day, and tell them about the year the fire came through. I am reminded of Psalm 62:6 through all of this: “He alone is my rock and my salvation, my fortress where I will not be shaken."